The DrieDeeBox is the solution u need to start with 3D printing. 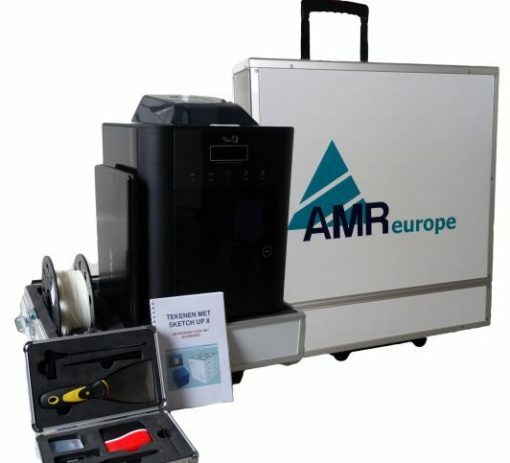 Everything is included so u can immediately start with 3D printing, from a professional 3D printer to design software, a laptop and everything packed in a sturdy and mobile flight case. The heart of the DrieDeeBox is formed by a Cubicon Style, a solid professional desktop printer that combines a beautiful design with a high quality. Because the printer has a completely closed housing and is also equipped with an odor and dust free HEPA filter, this printer is also very safe. AMR Europe is distributor of various high-end 3D printing systems.